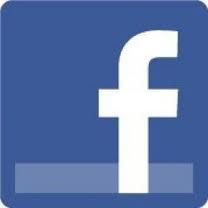 For the online generation, here are the latest numbers: 91 percent of teens have an email address, 60 percent use instant messaging, 75 percent have a cell phone, 72 percent have a Facebook or Myspace page. And in a recent Harris Poll, one in five teens has been harassed online or by text message. 13-year-old Taylor has lots of online friends and one enemy: a girl who posted a web log making fun of Taylor and other kids. “She was mostly calling everyone whores and sluts and ho’s,” says Taylor. Taylor found out thru the grapevine at school that the girl was a classmate. Sue Scheff: Teen Challenge - FEARS: Are They As Big As They Feel? Debra Beck is an author and mentor for teens, specializing in girls. Her first book, My Feet Aren't Ugly has helped thousands of girls empower themselves - build self esteem and make better choices in life. Read her recent Blog entry - FEARS: Are They As Big As They Feel? What are you afraid of? There is plenty to fear--whether you are a child, a teenager or an adult. Fears come in all shapes and sizes from the Boogieman to the Taxman. You can be afraid of speaking in front of a crowd, growing old, getting a bad grade on a test, losing friends, looking bad, embarrassing yourself. The list can go on and on. Everybody is afraid of something and to different degrees. Are fears only as big as we make them? The summer heat means spending lots of time outdoors at community parks, pools, and events. No matter where you live, everyone savors the summer months when the crazy pace of life generally slows down and families get to spend more time together. Busy families also find they are likely to spend more time in their community, attending sporting events, picnics, or concerts. It’s a reassuring and comforting feeling to be a part of a community of people that you identify with and feel a connection to in a meaningful way. This connection can play an important role in the fight against over-the-counter cough medicine abuse. Every year, the parents of one million children get divorced. And every day, 1,300 new step-families are formed. Those first days and months aren’t easy, but studies show that kids who live in step-families are happier than children whose parents never re-marry. When Gladys and Michael decided to marry, it wasn’t just one plus one … it was four plus four. Two families of divorce were joining each other, and the kids didn’t like it. “We didn’t get along AT ALL,” says Tiffany, now 14 years old. “I didn’t like having a whole new family,” says Ashley, 15. Michael’s kids resented Gladys, and her kids wouldn’t listen to him. “They stayed in their own room a lot; they found things to do by themselves a lot,” Gladys says. I found a cool website for teens and parents. BodiMojo – promoting teen health, nutrition, and body image. Read more! BodiMojo will be a premier nutrition, fitness and body image website built with teens, for teens, and focused on integrating online & off-line activities in fun and motivational way. Teens told us what they wanted and we listened. BodiMojo will include elements of music, interactive tools, games, vids, creativity, community building, contests, original content and customized user pages for teens. BodiMojo will also offer its users new technology for fitness tracking and mobile motivation. Nutritional experts, health professionals, fitness gurus along with our participating teen users will develop stories, articles, information, graphics, videos, interactive features and more. 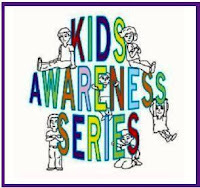 Kara Tamanini is an author and therapist and I can always find great information for parents on her www.KidsAwarenessSeries.com website. By Kara Tamanini Most children go through different phases in which they are scared of different things when they are young. However, a child can develop a specific phobia to different things in which their fears are excessive or unreasonable. Now, you may say that everyone is scared of something at one time or another. However, children that have specific phobias become extremely fearful or terrified when a parent or adult even exposes them to the specific thing they are scared of. Children most often develop specific phobias to the following things: being in the dark, water, animals, going to the doctor or the dentist, and lastly thunderstorms or bad weather. 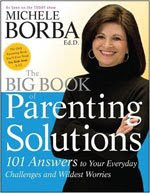 More great parenting advice from Parenting Expert and Guru, Michele Borba! Don't forget to order her BIG BOOK of Parenting Solutions. Debra Beck, an Author and Mentor to Teens, has a wonderful website http://www.myfeetarentugly.com/ and focus's on building your teens self esteem. Having self confidence can help your teen make better choices. Debra just posted a very timely Blog on Teens and Money - check it out! It’s amazing to me how teens react to money differently. My oldest daughter didn’t like to spend her money or mine for that matter. She was always very picky about what she purchased to make sure that the money was well spent. My youngest on the other hand spent both of our money without a second thought, and sometimes on wasteful things. I am noticing the same with my partners boys, one is very careful about his spending, and the other has the money spent in no time at all. What can we do as parents to assure that our teens have a certain amount of respect for money, no matter where it is coming from. As a Parent Advocate, I am a huge fan and friend of Michele Borba! I am very excited that her 23rd book will be released in September 2009. The reviews are in and they are outstanding! Borba, author and Today Show regular, employs a cookbooklike approach in her latest volume: rather than read through the entire tome, parents can flip to topics pertinent to their family. Borba opens with a friendly overview, noting that contemporary parents feel more stressed and find their roles increasingly difficult (June Cleaver, she points out, didn’t have to deal with cyberbullying or Facebook). With characteristic wit, Borba identifies the “seven deadly parenting styles,” including helicopter, buddy, incubator, bandage, paranoid, accessory parenting (judging themselves by their kids’ accolades) and secondary parenting (relinquishing power to such outsiders as marketers or the media). Sue Scheff: Is Your Teen Sitting in Front of the Computer All Day? Sarah Newton's Blog and Podcasts at Gen Y Guide has some great parenting information for parents today and the technology our kids are using! We need to try to stay ahead of our kids - it is summer - check this Blog out - I am sure many can relate! Let’s face it, there is always plenty to do during the summer holidays. That isn’t the challenge. It is finding something our kids, especially teens, would rather do than sitting in front of the computer. When every suggestion is met with, “Boring!” what can a parent do? With two teens and a nine year old at home I know exactly where you are coming from and how difficult this can be. Is there a solution? Definitely! Let’s take a quick look at our children’s generation, Generation Y or The Milleniums, to see who and what we are dealing with. One of any parent's greatest fears is a missing child. Tangerine Times founder has written a very timely Blog about the distressing news of kids and sexting/texting. Please take the time to become an educated parent and proactive in keeping your kids safe not only online, but with their cell phones. This summer I’ve been working to expand my abilities into the video world. I was interviewed by a educational film maker about Social Media and teens (I will write more about this later). And, I’m excited to be part of a new video series about technology and kids (more on that later too). I’m also working on including a video component to my site which requires a little time and patience, both of which I’m in short supply lately due to our move. That said, I am excited to find new avenues to talk about teenagers and particularly their use of technology. It's one of the few rites of passage in the American culture. A time of exhilaration for teens, a mixture of relief and dread for parents. And no matter how intense the anticipation or anxiety, it is an inevitable step for both parents and teens - teen driving. While many teenagers can't wait to sit behind a steering wheel signifying more independence, many parents try to delay handing the car keys to their son or daughter. This step is fraught with emotions and can quickly become a less than positive experience for both parents and teens. Partners In Education (http://www.partnersineducation.com/), a dynamic, interactive presentation that takes students through the steps needed to prepare for life after high school. HUMVEE School Program (http://www.humveeschoolprogram.com/), a unique, hands-on opportunity that informs students about technical career directions while offering an up-close and personal look at the high mobility multipurpose wheeled vehicle. Dr. Michele Borba, again has given us an educational and informational Blog - this time about our teens moods and how to survive them! Her new book coming out in September,The BIG Book of Parenting Solutionswill offer you literally volumes of great parenting advice! I think of the title of this article says it all. Parenting today has more challenges than ever before. Being an educated parent will help you protect your teen. Recently, I had a 15-year-old girl in my office. We'll call her Emma. She routinely was sexting. She was sexting many young men at the same time.Never heard the term "sexting"? You are not alone.Sexting is sending sexually explicit pictures (of yourself or another) from your computer or cell phone, to another.Teens are doing it all the time. A study done by the National Campaign to prevent teen and unwanted pregnancy shows that approximately 20% of teens send sexually explicit pictures. Bringing you parenting articles is part of being a Parent Advocate - and recently I discovered More for Kids website that offers great parenting advice, tips and articles. Here is one that I think now, especially during the summer, we need to read and put into action. People may wonder if kids have gotten off track these days. You hear it all the time from the older generations. 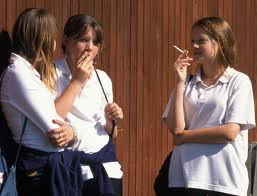 They think that kids these days simply aren’t as disciplined and respectful like kids used to be. You may have even noticed a change in your own child’s behavior and have wondered what the problem is. Before we get too analytical about your child’s behavior—whether bad or indifferent—we have to take a quick peek at our own lifestyle. Lets ask a few questions. Do we work a lot? Do we work too much? How often are we home? How many times have we engaged our child this week? Sue Scheff: Teen Runaways or Sneaking Out? Sue Scheff: Have you Hugged your Teen Today?